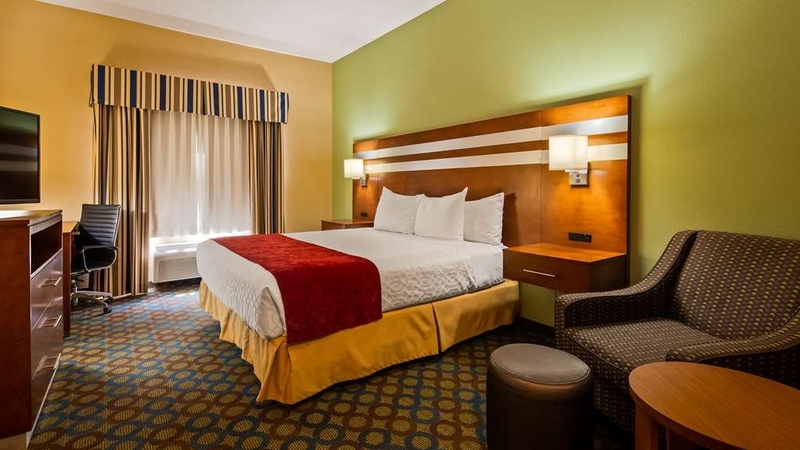 El Best Western Troy Hotel se encuentra en el centro de Troy. Venga y disfrute de las mejores atracciónes turísticas cerca de nuestro hotel. Precios bajos garantizados y ofertas exclusivas. 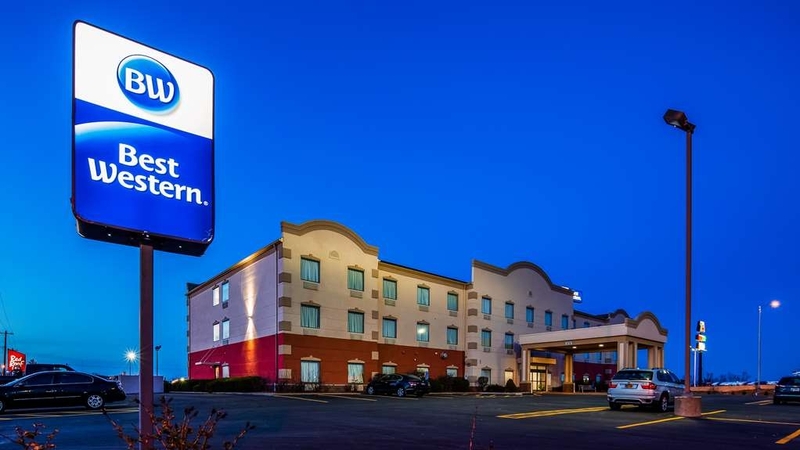 El Best Western Troy Hotel ofrece una fantástica ubicación junto a la carretera I-55/I-70, en la salida 18 de Troy, Illinois. A solamente 32 kilómetros del Best Western Troy Hotel encontrará las principales empresas y atracciones de San Luis. Los huéspedes en viaje de placer apreciarán especialmente la proximidad a la inmensa oferta de ocio de St. Louis. Los huéspedes podrán animar a los Cardinals en el Busch Stadium, situado a solo unos minutos de distancia. Durante su estancia en Troy, Illinois, los huéspedes podrán visitar igualmente el Gateway Arch, el zoológico de San Luis o los vibrantes museos, entre los que se incluyen el Centro de la Ciencia y el jardín botánico. Los viajeros tendrán a mano igualmente importantes universidades como la SIUE, la SLU, la Universidad de Washington y la SWIC. Al encontrarse nuestro hotel situado tan cerca de San Luis, los huéspedes en viaje de negocios podrán disfrutar de un cómodo acceso a sedes corporativas como Anheuser-Busch®, Boeing, ConocoPhillips y Freightliner®. Los huéspedes también podrán visitar atracciones cercanas como las bodegas y salones de banquetes Villa Marie, el centro de conferencias Gateway®, el parque de atracciones Gateway, el parque acuático Splash City y el circuito Gateway Motorsports Park. Además, no deje de disfrutar del acceso gratuito a Internet de alta velocidad, un centro de negocios con un completo equipamiento abierto las 24 horas y una sala de reuniones de 55 metros cuadrados con capacidad para un máximo de 20 personas. 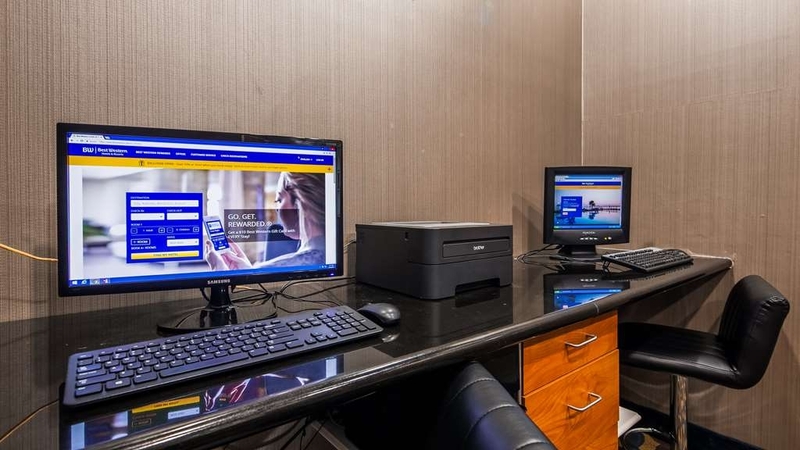 El Best Western Troy Hotel le ofrece todo tipo de instalaciones y servicios para que pueda disfrutar de una cómoda y relajada estancia. Tras un largo día de reuniones, los huéspedes podrán relajarse en la piscina cubierta o hacer algo de ejercicio en nuestro gimnasiocon un completo equipamiento. El desayuno caliente completo gratuito de nuestro bar le permitirá comenzar su día de la mejor forma. Nuestras acogedoras habitaciones le permitirán disfrutar de un auténtico oasis de confort con servicios primera clase. Con el servicio de un dedicado y un fantástico personal, nuestro hotel se encargará de proporcionarle una estancia verdaderamente inolvidable. 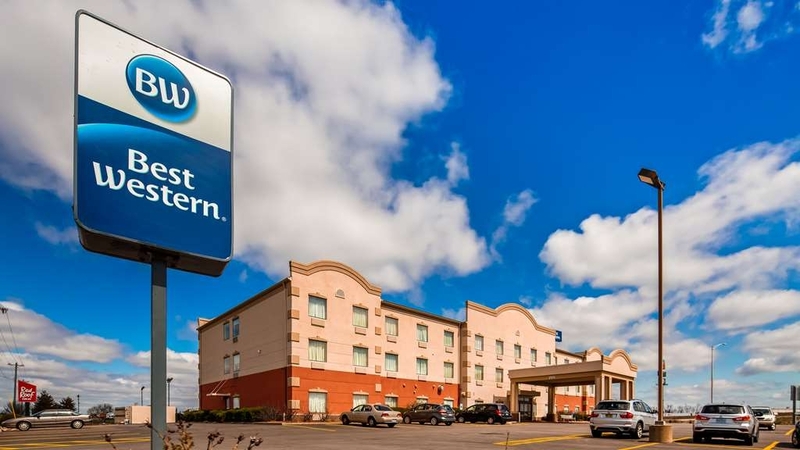 Reserve su estancia en el Best Western Troy Hotel hoy mismo. Quiet, nice hotel on the outskirts of St. Louis. 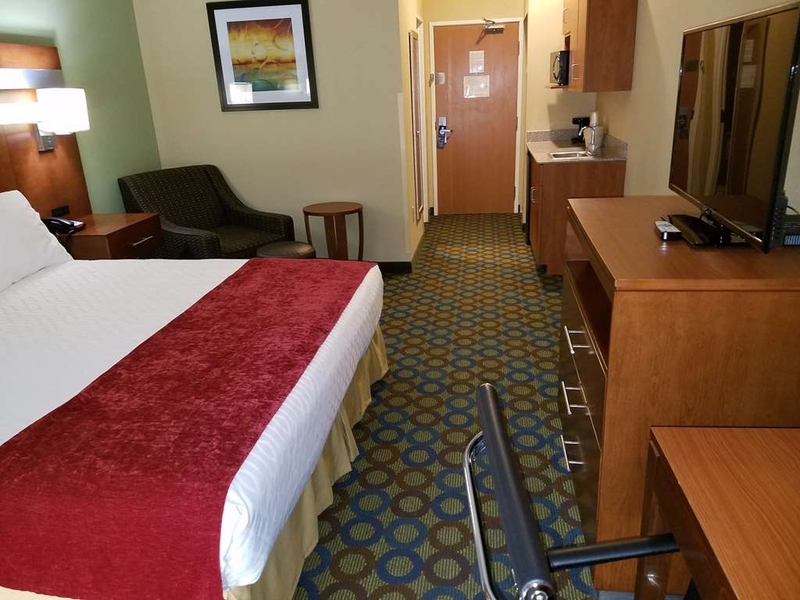 Clean room, nice staff, good price, close (walking distance) to restaurant options, big shower/tub, King room — nice. Sure, it could probably use an update but we liked it! One fo the nicest hotels I stayed in during the last year We loved the room with bunkbeds as I brought a bunch of teenagers. Breakfast was good but we felt more could have been provided Staff was very good and acomodating and the facility is ell kept and nice. Hotel with Best Western standards. Clean rooms and staff is very helpful. Well situated near I 55 and I 70. Nothing to say about rooms; cleans as usual and comfortable. We could go out for a walk and have dinner near the hotel. Good place to stop. This was a nice hotel with a fair price, good breakfast, quite room with a good bed and shower. Also a very friendly staff. The hotel looks like it has been recently remodeled and is very tastefully decorated I am never in the area I would stay there again. Stopped there after driving eight hours. Was so tired, the gentleman at the desk wouldn't give me any discounts, AAA, Military or senior citizens. I was so tired I didn't argue and paid 124.00 plus tax. We make this trip about once a year but won't stop there again I assure you. The place is nice and clean, breakfast so so. Excellent place for value. No complaints as the staff and facility very consistant paying attention to guests need. I would stay there again if in the area. The amenities were very good. The overall stay was stay was comfortable. The gentelman at the desk was very helpful. Got us a ground floor room. The room was very spacious, room was clean and beds comfy. Breakfast was hot and plentiful. I would highly recommend this hotel. Driving home from Branson on business stopped and stayed at the Best Western Troy Illinois. Convenient location just off the interstate. My stay was okay but the heating/ air conditioning unit sounded like a jet engine all night. Ended up just shutting off the unit which in turn made the room too warm to sleep. Not a great night sleep and personally would not stay at the hotel again. "Nice Hotel minus the bugs"
"Great place to stay with kids!" 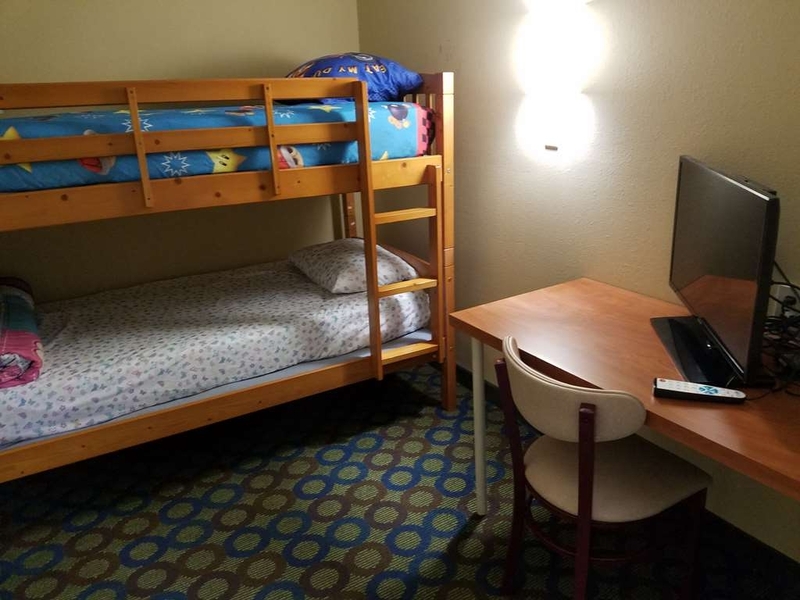 We got a family suite with 2 queen beds, and a separate area with a bunk bed, desk, and TV. Our little travel tent for our 3rd kid fit great on the floor in that area as well. The beds did not have a waterproof mattress cover, so be sure to bring those. But it did have fun kid-theme sheets! The area does not have a door or curtain to separate it from the rest of the room. The suite also had a wet bar with microwave and fridge, and there's a jet bath in the bathroom. All helpful and fun for traveling with kids! "Great place to stay just outside of St. Louis"
Great place to stay just outside of St. Louis. Reasonable rates my room was clean and comfortable, breakfast was good and included hot items. Cracker Barrel, a pizza place,And Taco Bell were walking distance across the parking lot. Very nice hotel, clean and reasonably priced. We stayed for a couple of nights to attend a couple of Cardinals games, was an easy drive to the ballpark. Also had a good breakfast, nothing fancy but plenty of basics. The location is ideal right off the highway. The outside looks nice. Entry is dingy looking. Staff was friendly. The room was spacious & clean. I was not impressed with breakfast. Not enough choices. Would have like little muffins, waffles, quaker oats. I would stay again, but not my 1st choice. "Dirty Bathroom & no staff"
My bathroom smelled & it hadn't been cleaned. There were short black hairs all over the toilet seat. When I asked the girl at the front desk to send someone to clean it she said there was no one there but her and asked me how many hairs were on the seat (1 hair is 1 too many) and that she'd have to do it. She showed up to my room with a rag. I asked her if she had anything to sanitize the seat and she said that's all she had (the rag). I went to my car and got my wet wipes and wiped off the toilet seat so I could use it. I later went to the store and bought Lysol wipes and wiped down the whole bathroom & it didn't smell as much after I cleaned it. I booked this hotel because it had a pool and it was not really clean (and it was TINY). The water was cloudy and I don't know if there was dirt at the bottom or just the paint was chipped away. I really wish there was a hot tub, which is nice to sit in after driving for 6 hrs, but then that would probably be dirty too. The positives were: the A/C worked in my room and the room didn't smell or set off my asthma, I was on the 3rd floor & it was nice & quiet & I got a good nights rest, and the bed was very comfy. Overall it wasn't a bad experience but it wasn't great either. "Nice clean safe hotel "
This is a nice clean safe hotel close to the interstate. Good breakfast. There are some good restaurants nearby. Only about 30 minutes from downtown St. Louis, so it's a good home base for visiting the city without paying a ton. Highly recommend this place! Will stay again. First, let me say that the room was clean, the bed was comfortable and the breakfast was better than most hotels. However, the air conditioner in our room was not working and it was 97 degrees outside. We called the front desk and got attitude that there was nothing they could do. The hotel was full so we couldn't be moved and they have no maintenance people to check out the unit. We were, however offered a small fan. I suggest if you're staying here during the summer months, you check out your room before checking in and don't stay in room 124. Called ahead as we were traveling and received excellent service making an unexpected reservation during a trip for a funeral. Very friendly front desk staff. Room was very comfortable and the breakfast was more than adequate. Great/easy access from the interstate. "Good place to stop for the night!" This hotel had been renovated a few years ago. Although it looks great at first glance, there are little things you notice when you stay. We had a room with a whirlpool, which was not clean. Kinda gross to discover hair that isn't yours when taking a bath! no complaints. friendly staff a quick check in. nice size room. the beds were clean. the room was quite despite seeing several family's with small children. the breakfast was the usual but good. I would stay here again. The room was very clean. The bed was very comfortable. The hotel was close to the ball park which was only a little more than 1 mile away. Very convenient. Savi was great. She was a life saver. Thank you, Savi. 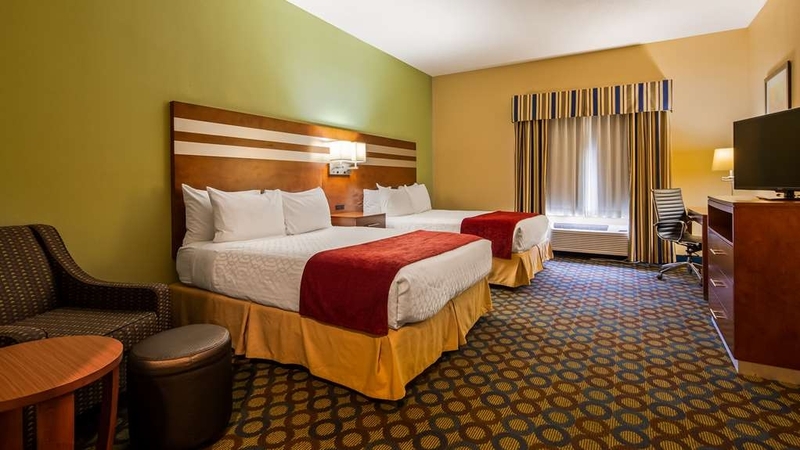 Clean hotel, comfortable beds , and spacious rooms. Great customer service at the front desk. Breakfast typical hotel average breakfast. Had a pool, looked small, but was indoors and clean. Front desk recommended a really great BBQ place called Fire and Smoke Wood Fire Kitchen. Their food was awesome! Would stay there again! Breakfast was late with the hot food, and there was no whole wheat bread, which is a problem with diabetics. Having hard boiled eggs would have helped.mWe also would have liked a fourth pillow on the king bed. Otherwise, everything was fine. Family room with bunk beds is a great value for a large family. Pool is small but clean. Breakfast includes hot items such as eggs, biscuits and pancakes. No issues, room was clean and quiet. Great stay. 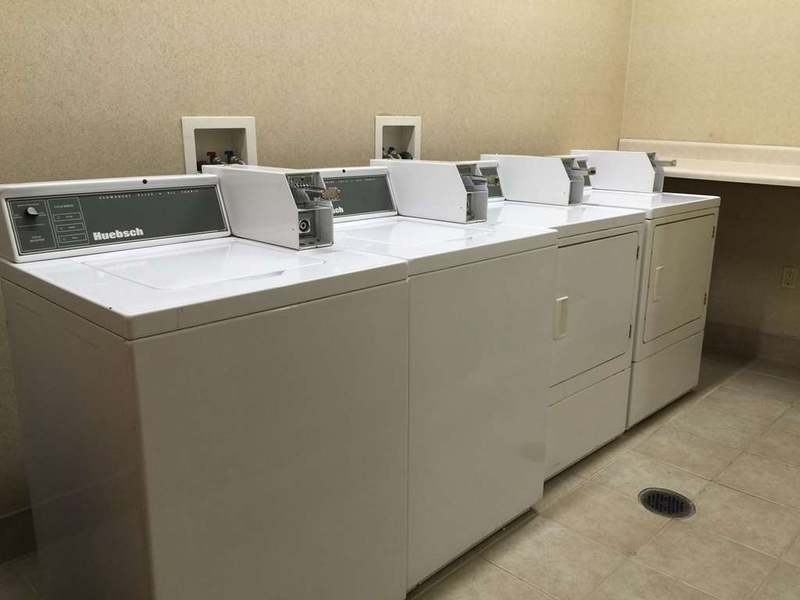 "Great service quick easy access to hwy"
Quick easy check in. Nice and quite. No road noise. Far enough off hwy but yet close enough for easy return. Has a Cracker Barrell restaurant next door if you want a nice supper before turning in for the night. Breatfast was hot, but its over by 830am so get there early. Staff was very nice. Both night staff and morning staff were very friendly. Genuinely egar to help make our stay pleasant. "Reggie at the front desk is a Rock Star!" I could not help but be in a great mood after checking into this hotel. Reggie was working the desk and came to help me after smashing on some skittles. He had such a high level of positive energy that I had a huge smile plastered on my face the whole time. He was friendly, professional, and you could tell he really cared about good customer service. We evaluate hotels and resorts as one of our jobs and this guy was on par with the best of them. The beds were soft and clean. The only two negatives we found were one pillow had stains on it(the pillow case did not, just inside on the pillow so it wasn't a big deal), and we missed breakfast. At least do 10 or 1030 am on the weekend. Some of us like to sleep in! THanks for a fantastic stay. If we look for place in the St. Louis area, you bet we'll be seeing if Reggie is around. I was very pleased with how nice and clean this hotel is. Everything looked new. For the price this is exceptional value. Staff was pleasant. Breakfast was good. I would stay here again. I wish all my hotel stays were this nice. "Clean and adequate plug ins"
Definitely, nothing fancy. But our unit was clean. I have slept on more comfortable beds in a hotel, but pillows were ok. Limited info provided on area in room. Tv remote was horrible. Couldn't get the channels to move. They had the generic remotes. Also couldn't use the closed captioning. There were adequate plugins to recharge all electronics. 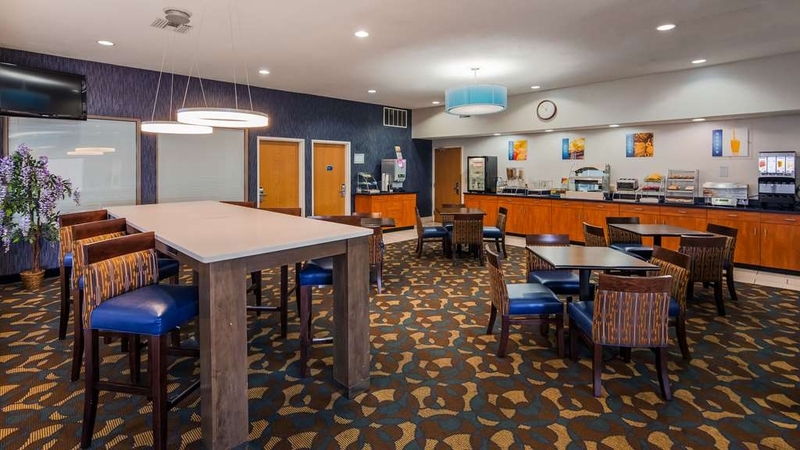 "Could Be A Really Great Stay Place"
Work on improving the free breakfast-fresh brew coffee not Nescafe Instant-make sure staff cleans/services room properly-the location is excellent and less expensive than Holiday Inn across the street and probably just as nice. Just off of I-55, this motel is convenient and clean. Free hot breakfast and they will even make you a "to go" package if you are in a hurry. Stay on the backside of the motel if you like it a little more quiet. Two queen beds, very nice. Good size flat screen TV. Lots of plugins for people who need their devices charged. Fridge/microwave. Wet bar outside bathroom. Breakfast wasn't quite ready by the time we left, but it looks good. Coffee to go was also nice. "Good place to stay to pass through"
The hotel staff was very professional and friendly. He made sure we had a comfortable room. It helped so much after traveling all day. The room was clean. The only thing that could use updating was the bathroom. The jucuzzi didn't look well maintained. I would stay again. rooms very worn. Poor cleanliness. Beds very hard. The disabled room bath was not proper for disabled. The bath was high walled and the tub was very slick and dangerous for a fall. The overall cleanliness of the room was well below standard. "Great location outside St. Louis"
This is a great option for an affordable and convenient location close to but not in St. Louis. Easy on and off the highway. 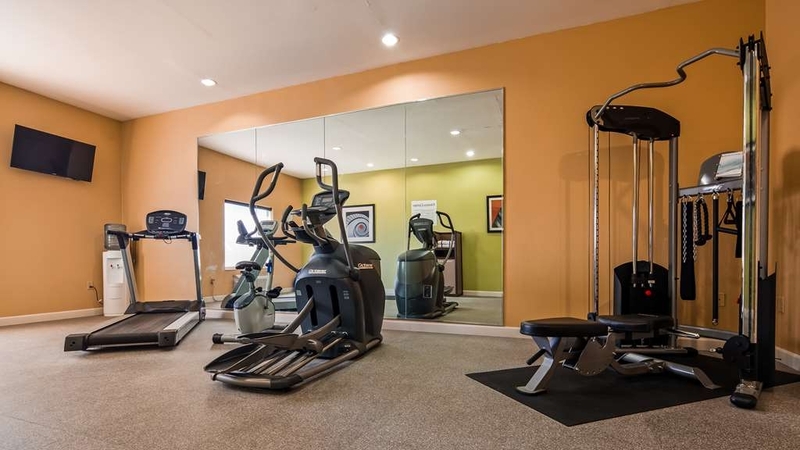 Amenities nearby. Also good for Route 66 travelers. Clean rooms, breakfast included. It was a reat price. The room was clean. The shower had good water pressure in room. Delicious breakfast including biscuits, gravy, sausage & eggs served in clean area. Enjoyed indoor pool, too. It was clean and comfortable overall. Thank you so much for the kind words about our hotel. We appreciate your feedback and look forward to your next stay. "Impromptu trip to St Louis"
Daughter and I had tickets to a Cubs/Cardinals game in St Louis. We decided to hit the road and stop just outside STL to look for a hotel to crash in after the game, figuring it would be cheaper than STL proper. Found this location immediately off I-55. Asked the no nonsense clerk if a room was available. He indicated their was and applied my AARP discount. Had a nice room with two queen beds and a kitchenette. Loved the location and value. Easy access to STL. Thank you for sharing your experience, we appreciate your business and hope to see you again soon. "More than adequate, but where was everyone?" On the road, we checked out hotels as we didn't want to get into the higher priced hotels nearer St. Louis. We were a bit concerned when we were one of the only 4 cars in the parking lot. We decided maybe we were early for check in, although it was after 5:00. The room was pleasant enough, no issues at all, comfort was good, so I'm not sure what was going on. It was a bit unnerving. We are at Cracker Barrel across the street, big crowd there, and we noticed a lot of cars in the other hotel parking lots. After dinner, there was a couple of trucks and a few more cars in our lot, but still, not even close to a half-full house. Perhaps we were missing something, but I found no fault here at all. Thank you for staying with us and thank you for the review. We enjoyed our stay. Easy on and off highway. Good breakfast Many restaurants within walking distance for dinner. Staff are friendly and welcoming. Nice size refrigerator in room. Bed was comfortable and bathroom nice size and clean. Great shower. Thank you for telling us about your stay. We are so happy you liked our location staff and accommodation. We look forward to seeing you again. Loved everything about this hotel. The lobby was clean and updated. Our room was very clean and bright colors. The bathroom was large, with a wonderful waterfall type shower. The breakfast was better than normal compared to the past Best Westerns I have stayed at. Great value, great staff, great location. Will stay here again next year when back in the area. Thank you, we are glad you enjoyed your stay with us, and appreciate your time in giving us a review. We hope to have you stay with us again on your next visit. This is a clean place to stay at a reasonable price on the outskirts of St. Louis. It is Illinois though, and NOT Missouri! We travel back and forth across the country regularly - This place has the Chicago no-nonsense all business approach. DON'T expect a friendly smile or greeting at check-in. Just show up with your driver's license and credit card, then sign here, here, and here. No hellos, no goodbyes, just sign here, here and here. We stayed here because it was so close to Cahokia mounds, and it really is easy to get to the hotel. The hotel IS in a good location, easy access and reasonably priced. We WOULD stay there again! Thank you for taking the time to tell us about your stay. We appreciate your feedback and will use it to make improvements to offer guests a better experience in the future. We look forward to your next stay. We were so pleased with all the staff at this particular BW. Very helpful and kind. Anything we needed they made sure we got what we needed. Never a want for anything. Even gave us suggestions of good places to eat near by. Would definately stay there again. Thank you for taking the time to write us a review. We are pleased to hear our staff went above and beyond to make your stay a memorable one. We are looking forward to welcoming you back on your next stay. Thank you for the kind words. We look forward to seeing you again on your next visit to SIUE. The business center was so out of date and did not function while i was there. The computers are old and do not work well. The computer desk was falling apart. The stairwells smelled musty. My shower needed cleaned real good and so did the room. The breakfast was terrible and needs a update and someone there to attend it when we were there no one was there to replenish and clean up around it. Thank you for writing us a review. We would like to apologize for not exceeding your expectations and will share this with management. Hope to see you again. Very quiet relaxing night, the staff was very kind. It is a great place to take family, I saw families in the pool. Restaurants are within walking distance like Cracker Barrel and Taco Bell. There are also multiple convenience stores int he area within 2 miles of the hotel for a great selection. Thank you for providing us feedback. We are delighted to know you had an enjoyable stay with us. We hope to see you again soon. Stayed here on 7/28/17-7/30/17 the family room is amazing and highly recommended for large families! Has a bunk bed room with separate tv for the kids! We booked through hotels.com and our reservation for our room got miscommunicated! The front desk guy put us in the room we originally booked but had to switch rooms the second night and put a rollaway bed in for us! Didi, the manager, was also great! Gave me his business card for future stays and made sure our room and experience was wonderful!! Thank you for sharing your experience with us. We very much appreciate and value your feedback and will share it with our team. Looking forward to seeing you again. "Excellent location with a reasonable price"
Rooms have been very clean as we've stayed here several times. Breakfast is very good and easily accessed off main lobby next to pool! The hotel is represented by a pleasant staff that are very professional and we've enjoyed this property. Thank you for the nice comments. 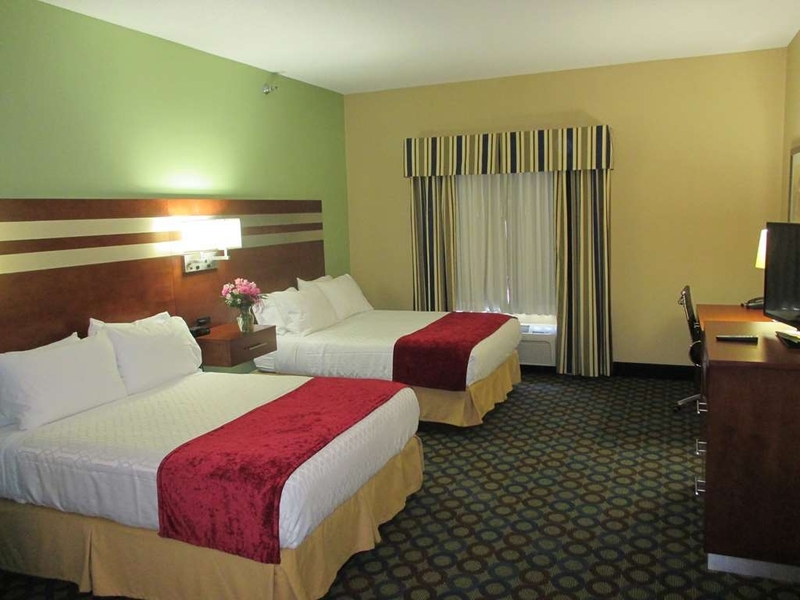 We do our best to provide the cleanest rooms and best service to our guest. Looking forward to seeing you on your next trip. We were travelling in a group of six. They had a family suite with two queen size beds and a bunk bed. That was absolutely perfect! The bunk bed mattresses were a little firm but all in all we were very satisfied with the room. Plus the bathroom had a huge, jacuzzi tub!! That was an unexpected bonus!! Thank you for sharing your comments with us. We are glad to hear you enjoyed our kids suite. We look forward to welcoming you back in the near future. "clean hotel rooms. a little dated, but clean"
Thank you for writing us a review. We are pleased to hear your stay was just what you were looking for. We look forward to seeing you again if your travels bring you this way! "This hotel does not meet standards for Best Western"
Do not stay here unless they hire more staff and clean this place. change bed and mattress really noisy. Bath tub completely clogged up. Carpet so dirty our feet were black! Front desk had no attendant in the morning, because she had to serve breakfast! No waffle machine, no cereal boxes of popular flavors. no tissue in tissue holder. had to call 2 times for noise from upper floors. requested a roll away, and it was never place in room. I have had over 50 nights in the past year at BW this by far is the worst I have ever seen. Thank you for providing us feedback. We are very sorry to hear about the issues you experienced while staying with us. It appears that we fell short of our standard of service and we would love the opportunity to welcome you back to ensure a more pleasurable experience. This room was great! The exterior was having work done but it didn't bother us the rooms you can tell are being actively updated overall it was good for the money. They had a good wet bar area which was helpful! Thank you for taking the time to write us a review. We are glad your enjoyed your stay with us and look forward to serving your again if you're in this area. 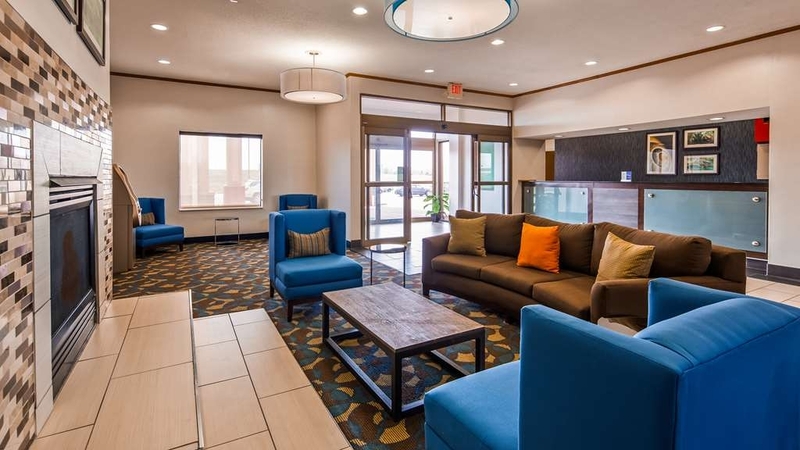 "Comfortable, Clean & Great Value"
The lobby and rooms were very clean. Slept very well as the surrounding were pretty quiet and the mattress was very good. Very good value considering its proximity to St. Louis city where hotels where much more expensive and/or already booked. My wife and I were in town over the weekend for a wedding at a nearby winery. We were very impressed with our room. The decor was newer and in very good condition. It appeared to have been redone within the last year or two. During our stay, crews were working outside repainting the outside of the building. One thing that really impressed me was the television system. It displayed the network and program name and info at the bottom of the screen every time you change the channel— almost like a dish guide. Also, If you're like me and can't sleep without a fan, the PTAC unit can be set so the fan runs all of the time. My only nick against the place was the quality of the breakfast— specifically the coffee. There was a machine that dispensed a cup of Nescafe instant coffee a cup at a time. It was awful. We just went across the street to Cracker Barrel for breakfast, which was great. Overall, however, we were very impressed and would definitely stay there again. About two years ago I had a terrible experience with a Best Western, so avoided them until this road trip. This hotel was what I expect from a hotel that already had an excellence rating from trip advisor. Room clean and comfy, all worked, breakfast ok (could be better, but 7/10), staff very cordial and no problems during the stay. When we are in the area visiting family, we always stay at this hotel. We have never had any issue that the staff did not make right. It is clean, and with breakfast being free, It's a win win! I also appreciate that it is in a location that I feel safe! Nice place, clean friendly. 2 bus loads of young kids and adults arrived in evening. We didn't hear any noise from them. We were initially assigned a room and it was not made up when we entered. So the clerk gave us a sweet. Very nice. Thank you for taking the time to provide us feedback. We are glad that your overall stay with us was a pleasant one. I would like to apologize for the trouble we caused you with the first room but glad our staff was able to get it corrected in a timely manner. Looking forward to seeing you again. Good location and breakfast. Bad response to need. Ugly ants and cobwebs. Understand that ants come in during rainy season. Change rooms at 10:30 at night or wait for Orkin next day. Returned to hotel next day at noon. Still no Orkin or can of Raid. Got late check out and left. Workers were kind. Thank you for taking the time to complete the survey. 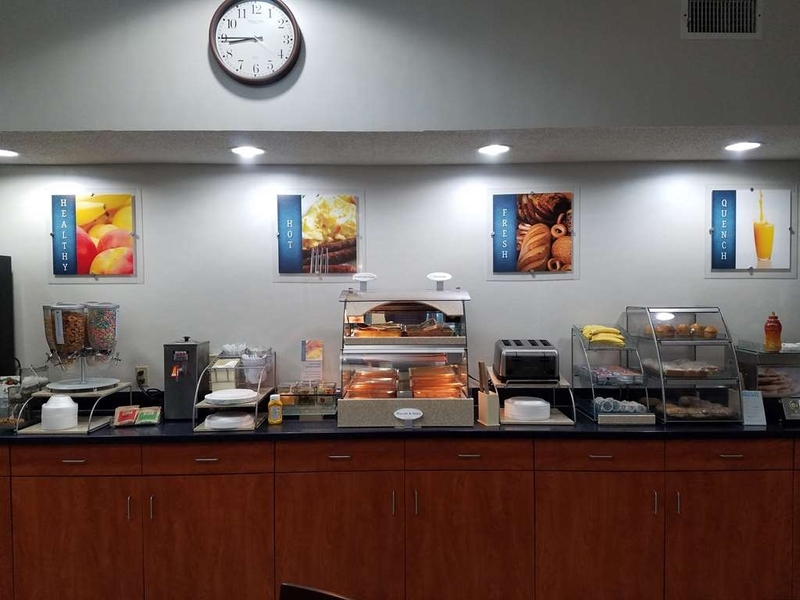 We are glad to hear you found our location, breakfast and staff to be good. On behalf of our entire team, I would like to apologize for the discomfort with the ants. Look forward to see you again. Stayed here for my daughters graduation from SIUe along with my in laws. Rooms were nice! Loved the size and the room in the bathroom! Staff was great, we sorta took over the lobby area late night for a family card game and cocktails! My daughter is living down there now, I definitely will be staying there again! Thank you for providing us feedback on your stay. We are thrilled to hear that you enjoyed your time with us. We look forward to your many more visits as you travel here to see your daughter. "Safe, clean and family friendly "
This place was a stopping point. The staff was nice, courteous and willing to help out with questions we had. Our room was very clean, beds comfortable and big! The morning breakfast had plenty of food for every dietary need! This place is a nice place to stay and clean I recommend it highly! Thank you so much for your kind words. We are so happy that you enjoyed your time with us. We hope to see you again very soon. 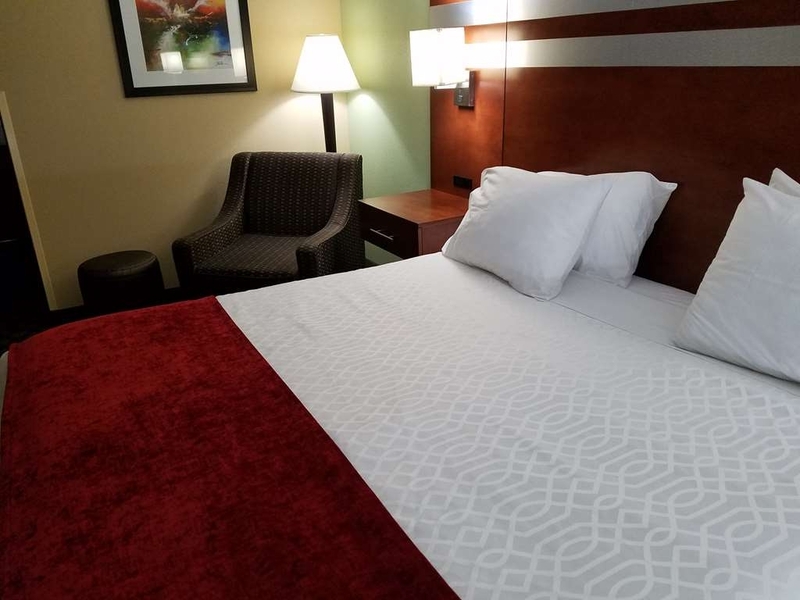 Clean room, plenty of towels, comfortable beds! Staff was friendly and helpful. Breakfast included hot and cold items and was very tasty. Pool area and fitness room were clean and well cared for. An overall enjoyable stay. Great value! Thank you so much for taking the time to complete the survey and for your kind words! We hope to see you again very soon! 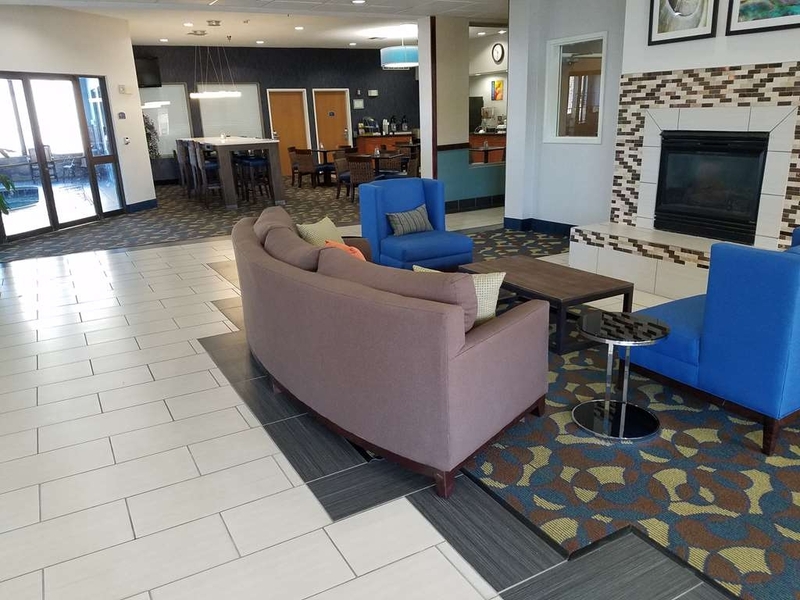 I stayed at this motel when it was a Holiday inn Express, and now That its a become a Best Western , I find it a great value. I find the same warm welcome , they always have reserved the rooms we prefer and the night staff ( Reggie and Shawn always remember us , it actually appears more like a family run business instead of a chain. Thank you for the kind words! We are so glad you enjoyed your stay with us! 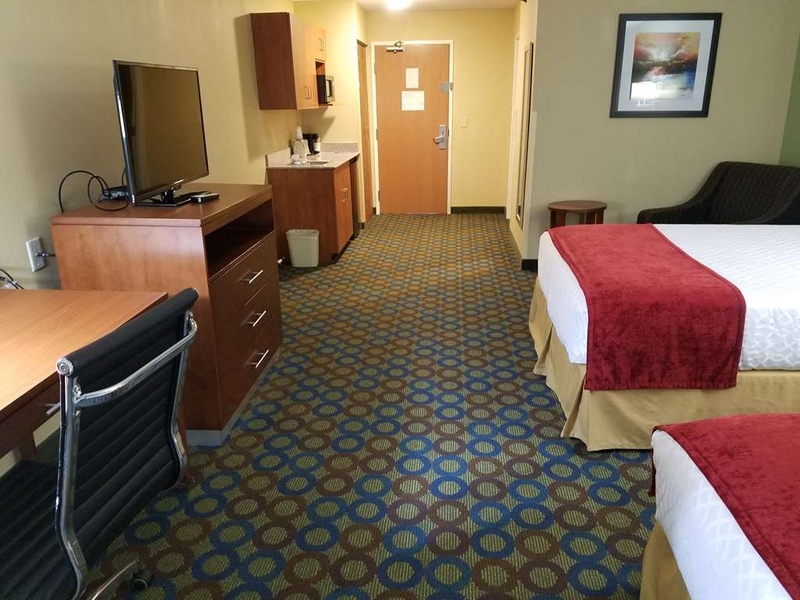 We want to be your home away from home. We look forward to seeing you soon! 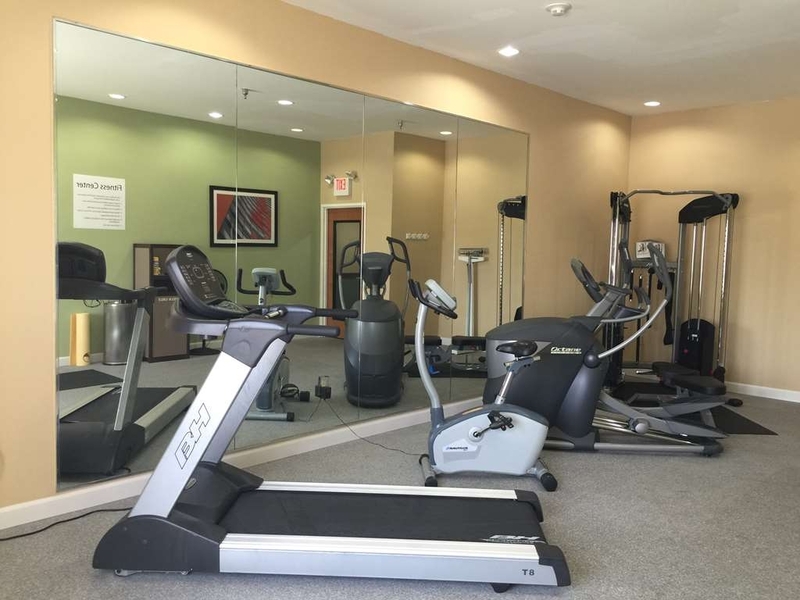 "Excellent location, access and personnel"
It is convenient (on-and-off) highway property and deserves the 'Plus rating!' Facility is clean, personnel are pleasant and efficient. Amenities, which includes breakfast are excellent. Very reasonably priced as well! Thank you for the kind words. We are pleased to hear your stay with us was pleasant. Looking forward to seeing you again in the future. Huge rooms. Kitchenettes in the rooms and better than average breakfast. Quiet. Conveniently located off of 55. There were comfortable beds. Very clean, but maybe not impeccably clean. Best western keeps getting better. Thank you for your kind words. We are so happy that you enjoyed your time with us. We hope to see you again very soon. 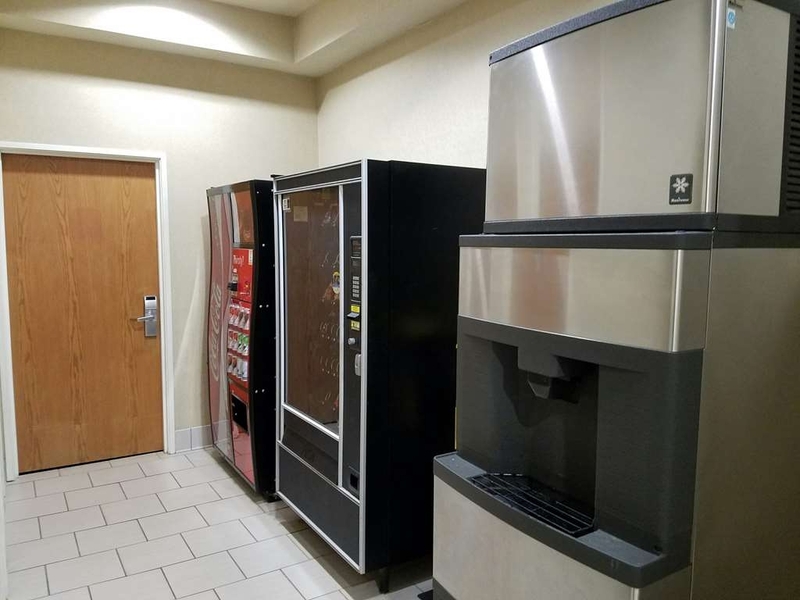 Room cleaning was less than sufficient.Staff friendly, but not very knowledgeable about amenities or area.Breakfast adequate, but no one washed tables after people ate. Rooms were OK, but walls very thin. Could here other people in other rooms all night. Thank you for taking the time to review our hotel. I am so sorry that you had to experience this while you stayed with us. We will share this with management and get this corrected. We do hope you give us another chance if your in the area. We stayed in the family suite. It was clean and very spacious. The room was very nice. The bathroom was in need of updating but the water pressure was great. The breakfast was good. The pool water was warm. I would stay there again. Thank you so much for taking the time to complete the survey. I am so glad that you enjoyed your stay with us and look forward to seeing you again. Room was a problem.No toilet paper no Kleenex and dirty towels in room. Remote was useless. The only good thing was the desk staff.Reggie was at our room in 2min.with every thing to replace the things, The remote could not be fixed, He tried every thing he could to help.The manager has no interest in the problems of the Hotel.They did put out a very good breakfast. Thank you for taking the time to write us a review. On behalf of our entire team, I would like to apologize for not exceeding your expectations. We will address these items with housekeeping as well as management to ensure this does not happen again. I will also share your compliment with Reggie! We hope to see you again in the future. Very nice place. Enjoyed the stay. The breakfast was great. 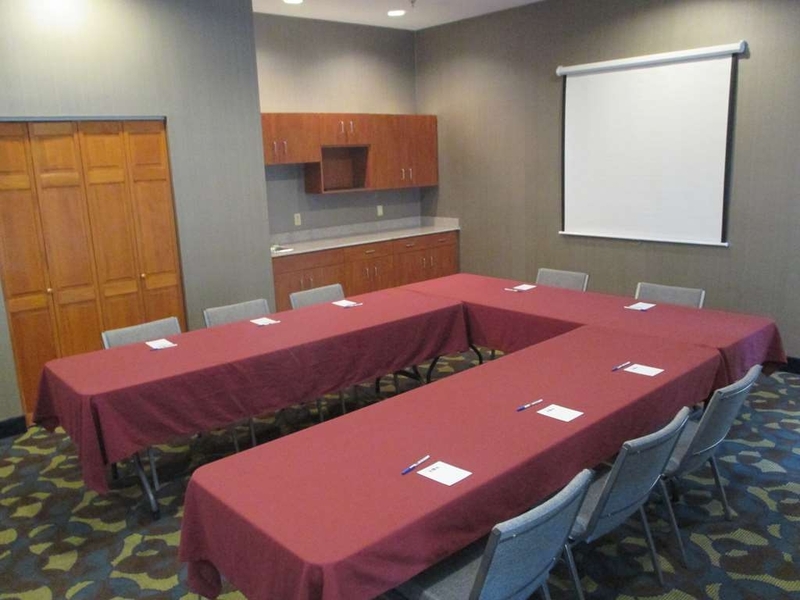 The place was very clean and the staff was very attentive to our needs. The staff was very friendly, enjoyed talking to them. Everything was close to the hotel, food and gas. Fred, Thank you for taking the time to provide us feedback on your stay. We are pleased to learn you had a memorable stay with us. We look forward to seeing you again soon! Thank you for taking the time to write us a review. We are pleased to hear your stay with us was pleasant. Looking forward to seeing you again in the future if your travels bring you this way. you can do better, they don't consider cleaning around beds perhaps for used condoms, to be part of housekeeping, so imagine when you check in with young children and your kids find a used condom... breakfast was okay though, also room size was ok as well, they also have this nice lady (savi) that help a lot at the breakfast area in the morning! Thank you for providing us feedback on your stay with us. On behalf of our entire team, I would like to apologize for not exceeding your expectations. We will address this with our housekeeping department to ensure this doesn't happen again. I hope that you will consider staying with us again so that we can provide you with a superior experience. Thank you for taking the time to write us a review. We are pleased to learn you had a memorable stay with us. We look forward to seeing you again soon! We were pleased with our stay! Clean rooms, very friendly staff, clean breakfast area. No waffle maker but a pancake "printer" as I liked to call it. :) Pleasantly surprised with the mini sink and counter in our room. Clean sheets, safe, calm area, overall a comfortable place to rest for the night. Would stay here again! 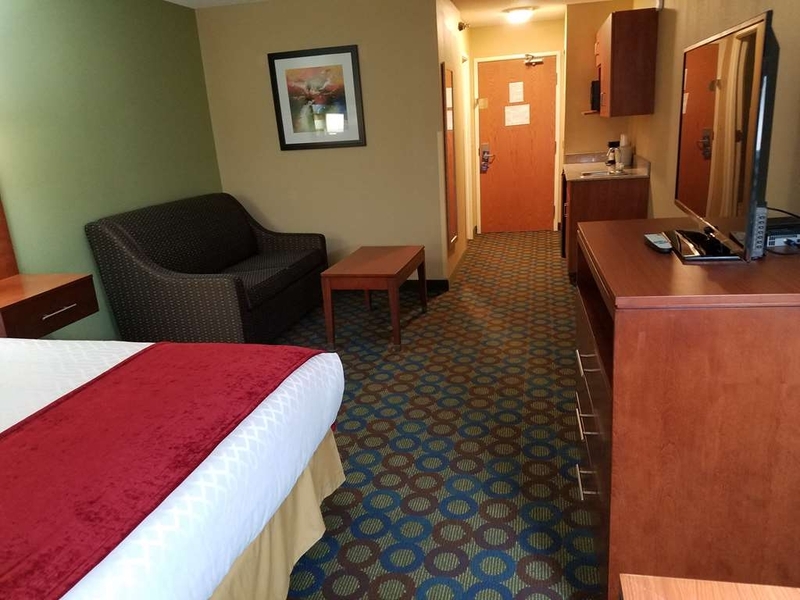 We needed a one night stay for a tennis tournament in the Edwardsville, IL area, and the Best Western provided us a clean and comfortable stay. The room seemed fairly recently remodeled (not sure if that's the case or not, though, but it looked nice). It was clean and attractive. The bed and pillows were surprisingly very comfortable. We did not hear much noise in the hallways. Our window faced the interstate exchange, but I do not recall being bothered by any noise from that, either. Thank you for writing us a review. We are glad to hear your stay was enjoyable and look forward to seeing you again soon! Along Route 66 we booked an hour before online and this was our fourth Best Western stop. We wanted to return to St Louis in the morning before continuing east and it was easy access and worked out fine backtracking rather than staying in the city. The hot breakfast was sufficient and saved time/money going to restaurant. Crackle Barrel was walking distance but drove to it for dinner. On the highway but neither of the couples were bothered by highway noise-quiet. The staff was wonderful and the hotel was clean and pleasant. I would stay here again anytime. Breakfast was presented very well and was good. The hotel was easy to find and the check in and out process was very satisfactory. I would stay here again with no hesitation. We were pleasantly surprised with the courteous and helpful reception. We were also just as pleasantly surprised with the modern decor of the room, as well as the cleanliness. The breakfast was ready prior to 6:30, but that caused some of the food to be lukewarm. Otherwise, this overnight stay was very nice. "Nice place to stay along trip"
Stopped here for the night on our way to Chicago. It is a clean and up-to-date hotel. 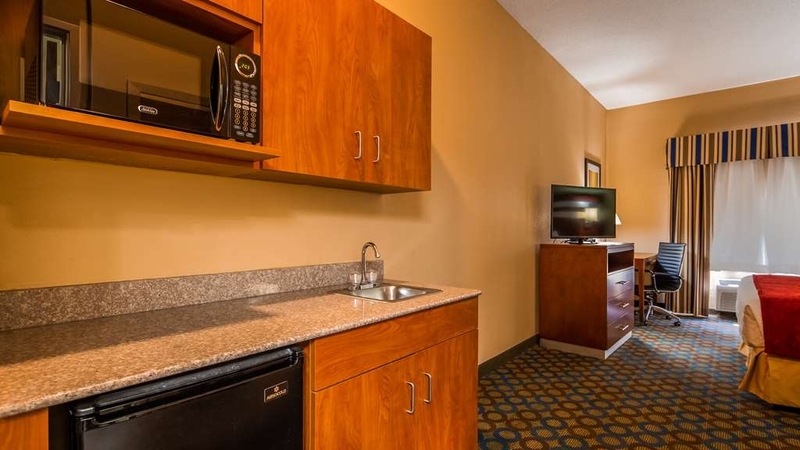 Nice accommodations in room - like fridge and sink in the mini-kitchen area . There's even cupboards in case you're staying a few days and want to stock up on groceries. Good breakfast choices - both hot and cold food. We really enjoyed our stay here. We were going into St. Louis and this was a good stop so that we did not have to stay in the city. We would stay here again. The staff was very nice and helpful. We were close to everything that we needed. This was my first stay at this motel. Will definitely stay there again. Front desk staff were very welcoming and greeted us every time we came thru the door. Motel as a whole was clean and recently remodeled. Room was spacious. Beds were comfy. Free breakfast was tasty and the right temperature. Only suggestion would be to offer a fresh fruit and to rotate the breakfast meat. The pool was clean and good temperature. This new hotel was easy on/off the interstate, and was one of the cleanest hotels I have stayed in. Should be in the BW Plus category. We stayed here after stopping to see Gateway Arch (about 20 mins away), and got us just far enough out of the city. Good lighting and USB chargers built into nightstands. Excellent beds and pillows. Cracker Barrel right across the parking lot, with other chains and pizza close by. Easy on and easy off the interstate. Good location. 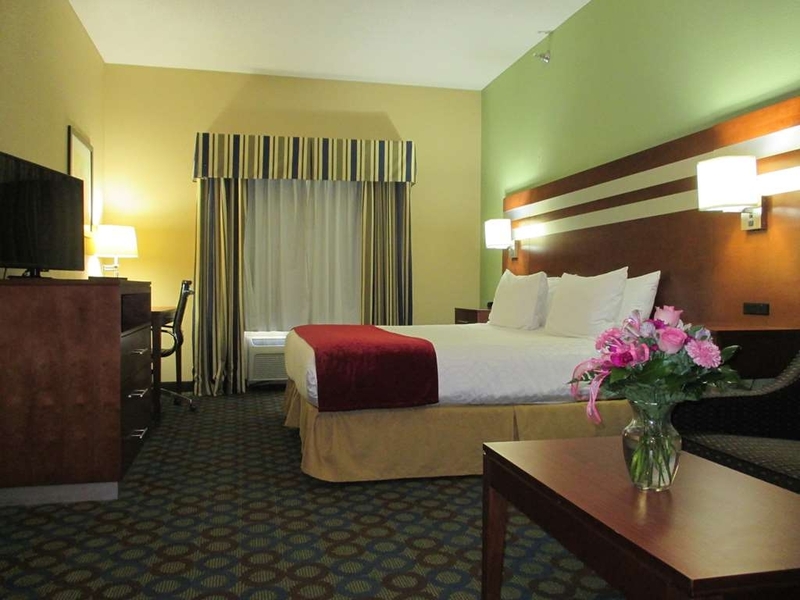 Were able to use our Best Western points for the nights stay without any trouble. Room was clean. Bed was comfortable. Wifi was free which was nice with two kids! Breakfast was a nice way to start the day. Dear Dona, Thank you for completing the survey regarding your recent stay at our property. Your business is very important to us and we value your feedback. By telling us what you liked about your stay and how we can improve, you are helping us deliver a superior experience for you and other guests in the future. We hope you will come back and see us again soon. Your kind words will help motivate our staff especially when we had some negative reviews during our renovation time. Thank you again for taking the time to complete the survey. We appreciate your loyalty to our brand. My wife and I really enjoyed stating here, on our way to a ministry event. Employees were great, room very nice. Located near good restaurants. I highly recommend this motel. Has truck parking as well as a well lit paved parking lot. Dear BBPhelps, Thank you so much for taking time out and writing us a review. We really appreciate your kind words and look forward to seeing you again , should your travel needs bring you back to the area. Great staff. Clean Rooms. Good breakfast. Quiet area. Great nights sleep. Room amenities were very good. The pool area and exercise area were very well maintained. Overall, a great place to stay. You will not be disappointed. Dear Thomas P, Thank you so much writing us a review. We really appreciate your business and look forward to seeing you again. We are really glad to learn that you liked our renovated rooms. Pleasant surprise - very accommodating staff, quite clean and quiet considering the location. Unexpected early group departure was handled by front desk in orderly manner. Breakfast was adequate and not over advertised. Variety of restaurants nearby. 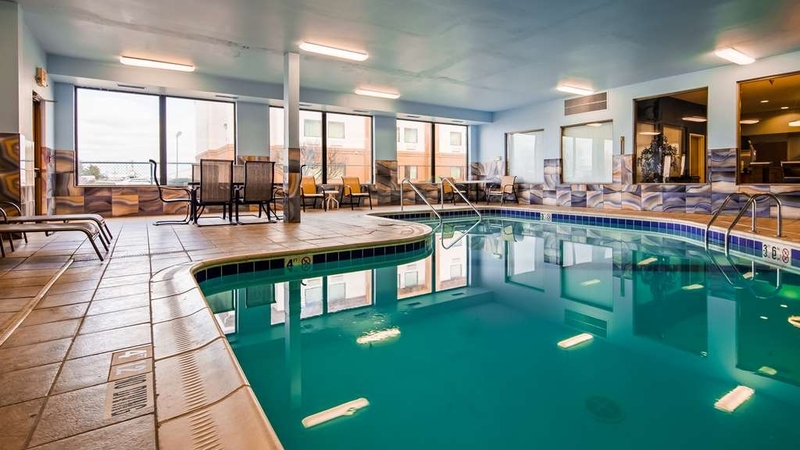 I booked the conference room in conjunction with pool access for my daughter's birthday 6 weeks in advance. I arrive 30 min early to set up for the party and the pool has been drained, there are huge machines and fans going in the pool area and the pool equipment is in the conference room where the party is to be held. I was told by the lady at the counter, "We tried to call you yesterday". I had no missed calls on my phone and they did not attempt to contact the alternate number that was given. I asked for a manager and was told one was not there. Finally the employee got someone on the phone for me who said the exact same thing. They were not remorseful nor did they seem to care that my 9 year old daughters birthday and pool party had been ruined by their incompetence. I will never go to this place again and would advise against it based on their communication skills and ability to notify you if something were to happen to your room or business conference you may schedule here. Stayed here 11/22/15 and thought I was going to be in a Holiday Inn Express. They answered the phone Holiday Inn express. Well I drove by 3 times trying to locate the hotel. Turns out it is a Best Western, Troy Hotel, Holiday Inn express all in one. The hotel is run down and out dated. Locks broken off the door elevator floor not finished , well maybe so it has a duro rock sub floor. If you stay at a lot of Holiday Inn Express hotels you will be disappointed with this one. Breakfast was ok .
"Bait and Switch- NOT a Holiday Inn"
I reserved the Holiday Inn and when I got there, it was the Troy Hotel ( a former Holiday Inn). I called the agency who booked this and they actually laughed at me and said I'd made a mistake and not reserved the Holiday Inn. I've gone back into where I reserved it and this hotel is listed as the Holiday Inn of Troy, but it is NOT. Definitely not of HI standards. Moldy caulk around tub. No soap in room. Coffee pot filthy. Room was just dirty and needed updating. I could tell it used to be a Holiday Inn, but it's not. Very disappointed that I reserved a Holiday Inn and got this instead. And hey, they already had my money so what was I supposed to do? I feel I should be refunded something for this bait and switch tactic. Stayed about a week ago. Rooms are standard but the room was clean and the bedding excellent. The staff was very kind and professional. We left a pair of glasses in the room and called and the manager shipped them out the next day and we had them in two days. We'll be back and here's where we'll stay. Room was clean and very accommodating. Beds were nice and the AC was cold! We had a problem with the water not being very hot and told manager who said they were going to report because of other complaints. Staff was super friendly and helpful when needing assistance with anything. Breakfast was hot and plentiful. Holiday Inn Express is my favorite chain.